There is no better product on the planet to achieve ISO 9001:2015 certification than our complete Start to Finish solution. Everything you need from ground zero to certification is found in our exclusive package. 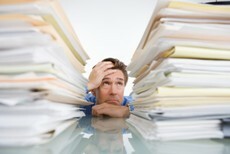 Your complete QMS solution. Everything you need from start to finish is included in our complete template package! Your 100% satisfaction is our guarantee. We're so sure that you will be pleased with how we over deliver that if you have a problem with your purchase and are not completely satisfied, just let us know and we will promptly give you a full refund.....GUARANTEED! 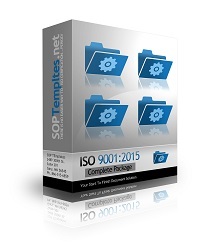 Just click on the "Instant Download" button to the right and have our "ISO 9001:2015 Complete Package" on your hard drive just minutes from now. Our manuals are written by RAB/QSA certified lead auditors and have passed the test of ISO certification many times over. Click the button below and take a look everything you get with our ISO 9001:2015 Complete Package! Everything you need for ISO 9001:2015 implementation is right here. It is the most concise way to implement ISO 9001:2015...Bar None! We give you "Exactly" what ISO requires and keep the documentation to a minimum while implementing an effective quality management system.